God's world is different from man's world. If you want to move into God's world you have to learn how to think differently. The carnal mind has to be replaced with the mind of Christ. If I have told you earthly things, and you believe not, how shall you believe, if I tell you of heavenly things? And no man has ascended up to heaven, but He that came down from heaven, even the Son of man which is in heaven. John 3:12-13. Jesus is saying He is on earth and heaven all at the same time because the two are connected in Him. You can be, too. 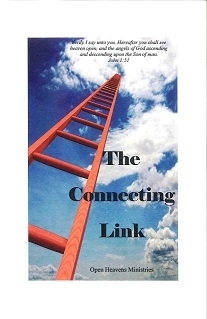 Jesus is the connecting link between God's world and man's world.